Michael Fertik is a serial entrepreneur and startup investor in Silicon Valley. A futurist, Michael is credited with pioneering the field of online reputation management (ORM) and lauded as the world’s leading cyberthinker in digital privacy and reputation. 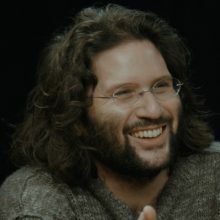 Earlier in his career, Michael Fertik founded Reputation.com with the belief that people and businesses have the right to control and protect their online reputation and privacy. He now serves as Executive Chairman of Reputation.com. He is a member of the World Economic Forum Agenda Council on the Future of the Internet, a recipient of the World Economic Forum Technology Pioneer Award and through his leadership, the Forum named Reputation.com a Global Growth Company. Fertik is an industry commentator with regular publication in Harvard Business Review, Reuters, Inc.com, Newsweek, and elsewhere. Named one of the first LinkedIn Influencers, he regularly comments on current events as well as developments in entrepreneurship and technology. Fertik frequently appears on national and international television and radio, including the BBC, Good Morning America, Today Show, Dr. Phil, CBS Early Show, CNN, Fox, Bloomberg, and MSNBC. He is the author of two books, Wild West 2.0 (2010), and the New York Times #7 best seller, The Reputation Economy (2015). Fertik founded his first Internet company while at Harvard College. He received his JD from Harvard Law School, where he now teaches courses on digital privacy and entrepreneurship. Fertik is a named inventor on more than ten US patents. Michael Fertik is an active startup investor as Founder and Managing Partner of Heroic Ventures (www.heroicvc.com).